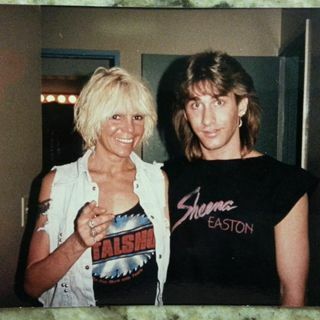 Pete's Corner - Pete Pardo Meets Wendy O.!!! MW/OB CLIPS - All About W.O.W. Man... this brings back the memories! I am old:) haha. MSG II feat Cozy Powell RIP!!! Just play it Jeff! We'll dig it!! Yeah... def had that SEAL feel. double shot on tap... ENJOY the ride! time for sum GARY MOORE!!! The SG will not be up for sale but message me personally at Red Dragon Guitars and mention the Jeff Young Music Without Boundaries for a special Jeff Young MWB Special, Red Dragon Guitars t-shirt, and Professional Setup. Top 100 NAMM Dealer 3 years in a row... 50+ brands, guitars, amps, accessories. DM me on facebook.